The world’s 130+ seahorse species (Family Syngnathidae) are strict live food specialists. Brine shrimp, the most easily-obtained seahorse food, is suitable as a steady diet for only one, the Dwarf Seahorse, Hippocampus zosterae (please see this article). Most others avidly consume brine shrimp, but will not survive long without amphipods (scuds, side-swimmers), sand hoppers, tiny shrimp, Mysids and similar marine creatures. In recent years, captive-bred Big-Bellied, Northern, Yellow, Long-Snouted and other seahorses have been induced to accept frozen foods. Several breeders are now offering seahorses that are already acclimated to such diets (live foods remain an important supplement). Please see this website and post comments below if you would like further information. Seahorses do well in pairs and groups, but, with few exceptions, fare poorly when housed with other marine fishes. Being slow, deliberate feeders, seahorses are inevitably outcompeted at feeding time. And, as live foods are relished by most aquarium fishes, it is difficult to selectively feed seahorses in community tanks. Pipefishes and sticklebacks (both seahorse relatives), and certain gobies will cause few problems, but most others should be avoided. With attention to detail, however, a good many invertebrates may be maintained in the seahorse aquarium. Included among these are Banded Coral Shrimps, small hermit and spider crabs, sea stars, brittle stars, urchins, most snails, and tube worms. Please post below if you would like detailed information. Despite recent CITES listings and other protections, millions of seahorses are collected annually for use in Chinese and South Asian medicinal practices, and for the curio and pet trades. Others are threatened by habitat loss or perish as “by-catch” in commercial fishing operations. Furthermore, wild-caught seahorses rarely adjust well to captive diets, and are often heavily parasitized. Please be sure to purchase only captive-bred seahorses. For most aquarists, seahorses on either end of the size spectrum are the best species with which to start. Larger species, such as the Atlantic Seahorse, Hippocampus erectus, and the Big-Bellied Seahorse, H. abdominalis, (please see articles below), will take a wider range of foods than most others. This allows us to provide them with the varied diet that is essential to long life. The Atlantic Seahorse, a particularly aggressive hunter, even consumes fresh-water creatures such as Black Mollie fry, fairy shrimp and blackworms. It also may accept frozen clams and prawn, and thrives at normal room temperatures. The minute Dwarf Seahorse, H. zosterae, is the only species that fares well on a diet comprised solely of live brine shrimp. Brine shrimp intended as seahorse food should be fed finely ground fish flakes, spirulina tablets and similar foods for several days prior to use (please post below for details). Tiny marine invertebrates, easily collected via plankton net, should also be offered if possible. The seahorse keeper must understand marine water chemistry and be adept at diagnosing and treating fish diseases. However, even well-experienced aquarists are sometimes puzzled by an ailment unique to seahorses and their relatives – the accumulation of gas in the male’s pouch. Treatment involves dispelling the gas via the careful insertion of a glass pipette, followed by medication with Methylene Blue or a similar anti-fungal preparation. Please see this article and post below if you need advice. First inspired by my grandfather’s efforts to breed seahorses in the 1960’s, I’ve written a number of articles and a book about these fantastic creatures. Husbandry difficulties and declining wild populations render it essential that we learn as much as we can about their habits and care. Please see the following articles and be sure to post your questions, thoughts and experiences below. One of these days I’ll finally get around to trying seahorses. I’ve always wanted to since seeing a tank full of them at a shop when I was a kid. Concerning the air trapped in the pouch problem- is that a very common occurrence? It sounds like something you’d have to catch pretty quickly to prevent death. I’m determined one day to own sea horses. I wouldn’t dare try right now though until I am done with school and settled down permanently, and have enough experience that I can do everything in my power to keep them healthy. I don’t want to kill any sea horses if I don’t have to lol. Hi Frank! I have your book! I enjoyed it quite a bit and it helped me in my early days of seahorse keeping. As a seahorse keeper and breeder, and someone that’s been heavily involved in the online seahorse community for 15 years, I wanted to add some of my observations. In regards to foods, we’ve moved past the need for live food for everything but the dwarf seahorses. I’d argue that an aquarist shouldn’t accept a seahorses that is only eating live food (dwarf seahorses excepted) because that’s a sign the seahorses are wild caught or are in ill health. Mysis is a good staple, but adding small krill and gammarus will help make a more complete diet. Not that the occasional live food is a bad thing, but it many seahorse aquarists keep seahorses for years without feeding live food with no problems. And brine shrimp itself isn’t a bad diet if enriched with omega-3 fatty acids. The trouble with brine shrimp is that they are largely protein and lack lipids essential to the diet of seahorses. These days there are a large number of enrichments that work well to make a complete diet. Dan’s Feed, SELCO DHA and Algamac-3050 are all high in DHA, making enriched brine shrimp a great food source. Plus it gives seahorses something interesting to hunt while being easy for many aquarists to obtain. To anyone thinking of keeping dwarf seahorses, I’d also recommend enriching newly hatched artemia with a food source meant for enriching. There are issues with only offering newly hatched brine shrimp, and relying on crushed up flakes is likely going to be inadequate in size and nutritional profile. Newly hatched artemia is high in the HUFA EPA, but lacks DHA. Marine fish can’t synthesis DHA, so need it added to their diets, and the way you can do this with dwarf seahorses is enriching artemia after the first molt, when they’ve developed a mouth. A number of dwarf seahorse keepers also add live mysis on a regular bases. Culturing copepods to supplement their feedings also helps give dwarf seahorses a variety of foods to eat along with making sure they have a complete diet. A word of caution though. Tigriopus spp. copepod cultures are frequently available due to their prolonged shelf life. They are a poor choice for seahorses due to their clinging behavior. I’ve seen many seahorse aquarists complain about them bothering dwarf seahorses. Most other copepods available make great food for dwarf seahorses. I would, however, recommend anyone thinking of dwarf seahorses to really consider whether or not they want the burden. They made a comparatively good choice when all that was available was wild caught seahorses because of the ease of hatching bbs. 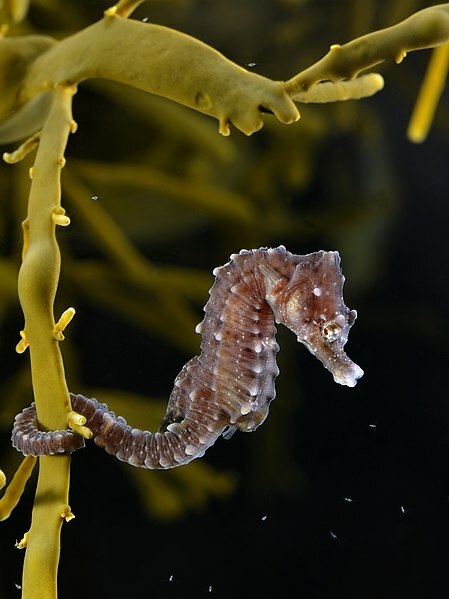 In contrast, these days larger seahorses are much lower maintenance because they can be sustained on frozen foods. 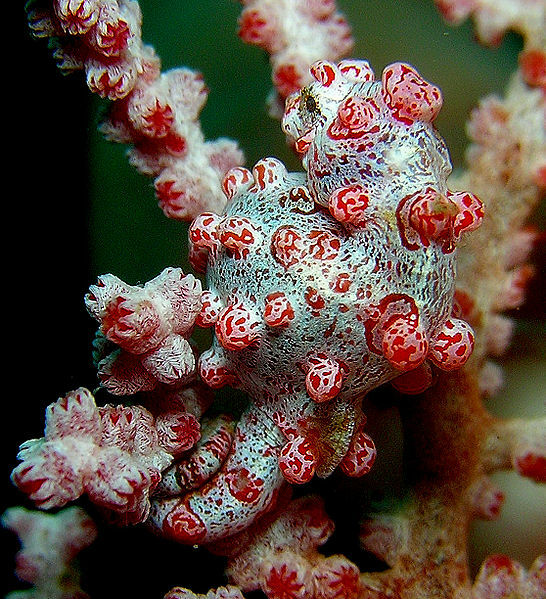 Many people find dwarf seahorses are more work than they’re willing to invest. This is also the first time I’ve heard of methylene blue to treat gas bubble disease. While I doubt it would hurt anything, I don’t see it helping much either. Acetazolamide (brand name Diamox) is the treatment of choice, but must be obtained from a vet. Even that has a catch – it really only treats the symptom and GBD will come back if the underlying cause isn’t found. In home aquariums, it’s usually a water quality issue – a lot of dissolved organics in the water due to low flow, infrequent maintenance, overstocking or filter media not being cleaned enough are the most common causes. One last thing before I’m done – I tell people not to mix seahorses and pipefish because there is too much risk of disease. Behaviorally, they get along fine (though some pipefish resent being hitching posts). Unfortunately there are very few captive bred pipefish and wild caught pipefish pose a health risk to captive bred seahorses. I’ve seen far to many people add wild caught pipefish to their seahorse tanks and have both perish. One day, when captive breeding catches up with pipefish, then they will likely be great companions again. But for now, it’s best to keep them apart. I want to get a seahorse but I have a fresh water. Tank and what do they eat is it okay to but a seahorses in a fresh water. Hello Karen, Seahorses are saltwater fish and wouldn’t survive in a freshwater tank. Can I keep both dwarf seahorse and the larger species together in a 65 gal tall tank? Hi Tammy, I wouldn’t recommend it. Their temperament would be fine but dwarf seahorses may not be able to find enough food in a tank that large and would likely be outcompeted by the larger seahorses. Dwarf seahorses like H. zosterae are much better in small tanks. You could mix a few kinds of larger species in your 65-tall. What kind of saddle is recommended for riding a sea horse?? Hi Dex, Western for Pacific species and English for Atlantic. Skip the spurs though. Do Seahorses need deep or wide aquariums? 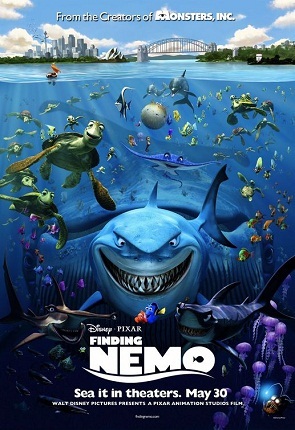 Remembering many fish are territorial and swim at different depths. What’s the best shaped aquarium for Seahorses please? Hello Patricia, Height is more important than width for seahorses. The size of the aquarium would depend on the species of seahorse you decide to keep and seahorses cannot be kept with most other fish. I read that sea horses can’t be with other fish and that’s okay…Seahorses alone would keep me intrigued. 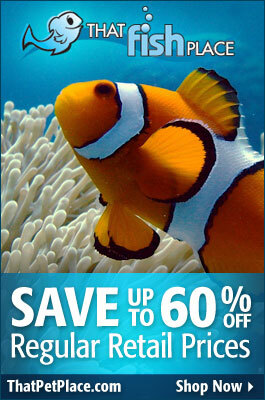 When I follow thru I’ll make sure to get a taller than wide aquariums and further investigate the exact species I buy. I just love Seahorses. Hi Patricia, Most captive-bred seahorses should be acclimated to frozen food, especially mysis shrimp. You can also add some vitamin supplements to the food to improve the nutrition. I would stay aware from brine shrimp as it doesn’t have as much nutritional value, and I would recommend ONLY buying captive-bred seahorses from a reputable breeder that are already eating frozen food; you should have a much higher success rate that way. Appreciate your time and advice. You’re welcome, Patricia. Good luck with your seahorses! Just read your article. Tell me one thing can I keep dwarf seahorse at my aquarium? I have recently bought a canister filter to keep the water of an aquarium clean. 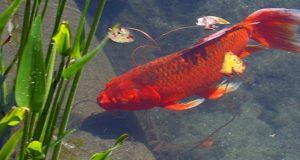 I am a fish lover and I love to keep different kinds of fish in an aquarium. So please let me know. Hello Andrews, Dwarf Seahorses are best kept alone in a small species-only aquarium. You can read more about their care specifically in the blog entry “The Natural History and Captive Care of Native Seahorses – the Dwarf Seahorse, Hippocampus zosterae“.